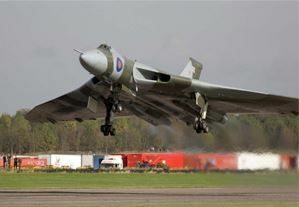 On 18th October 2007, after 2 years of restoration, XH558 was returned to the sky for her second flying career, a feat many people said could never happen. This was an incredible triumph of British engineering and determination. 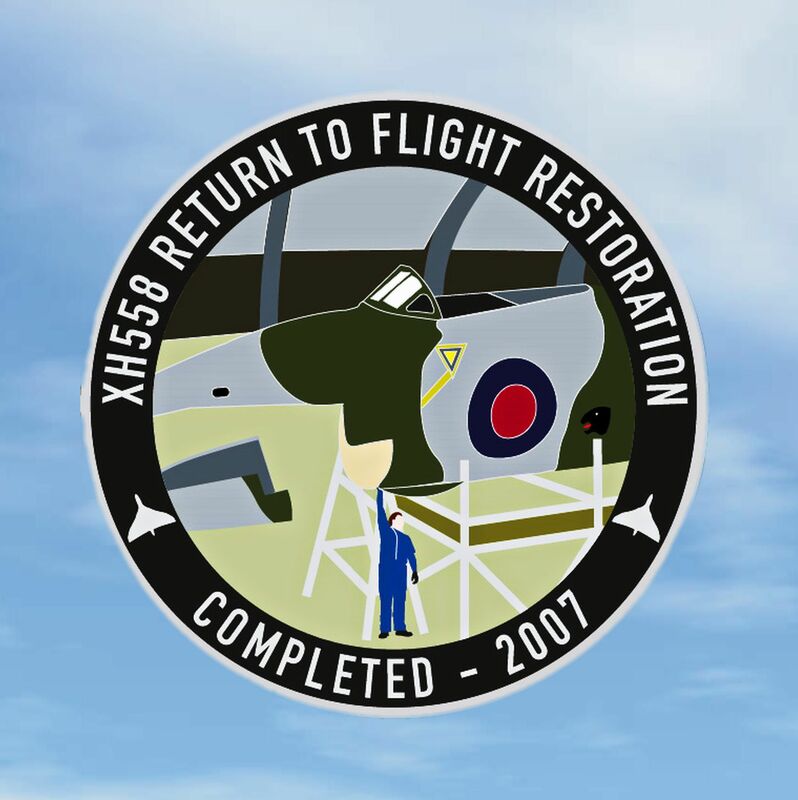 The achievement stands as a salute to all the supporters of XH558, who made the whole project possible. 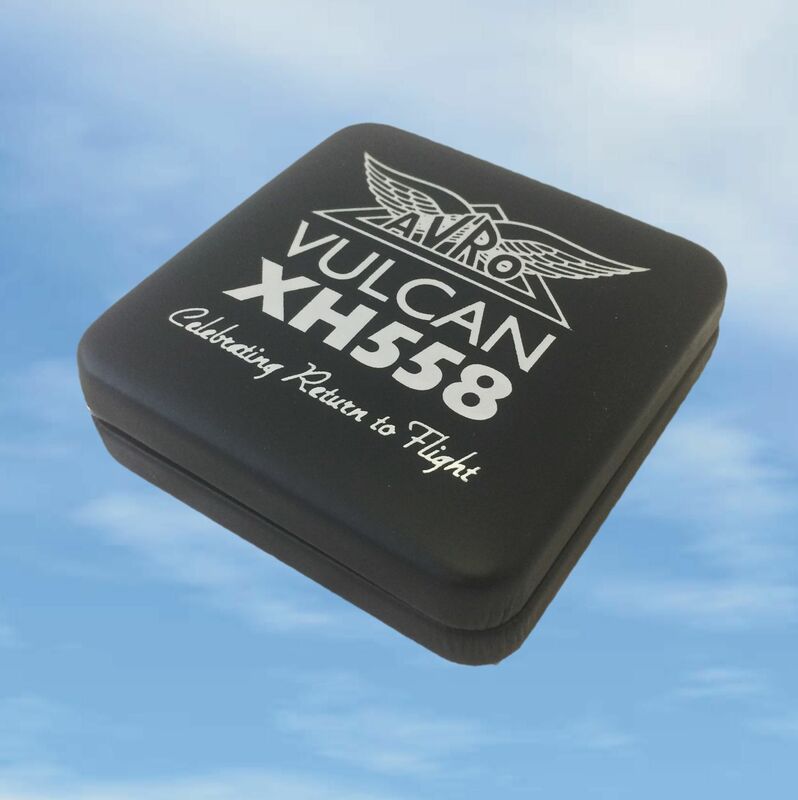 Here’s your chance to own a collector’s piece that celebrates the Return to Flight of XH558. 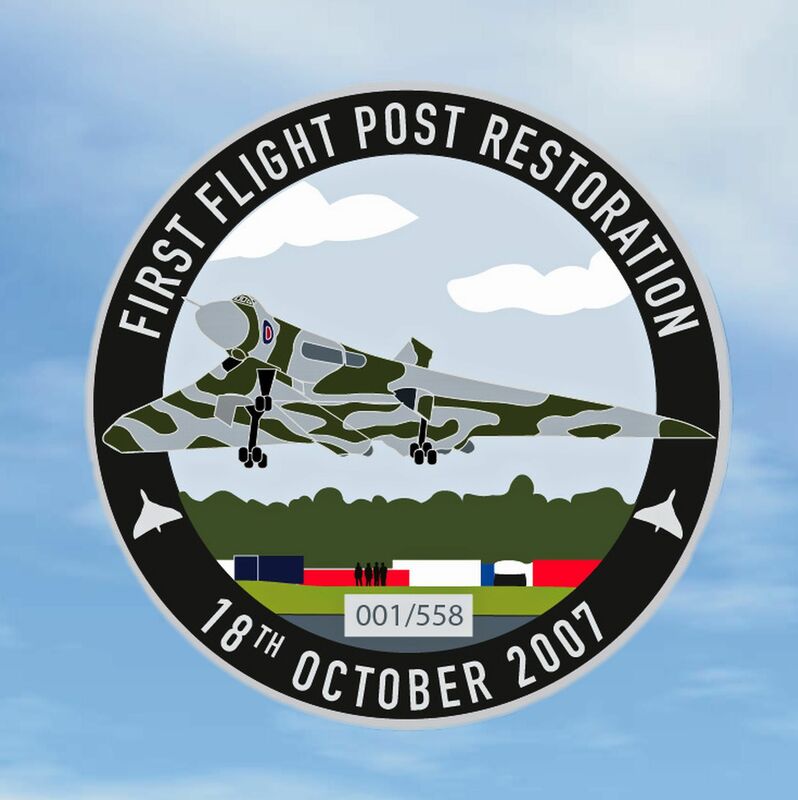 The face of the medal depicts XH558 during her restoration phase, which started in August 2005 with her Olympus engines being fired up for the first time in August 2007. A further two months of testing on the ground followed to ensure that XH558 was 100% ready for flight. The reverse shows the image of her leaping into the air on the memorable and emotional day of the first flight, on Thursday 18th October 2007. This is an iconic image and will last as a permanent record of this unique and historic achievement. Each medal is individually numbered and limited to 558 pieces that will be produced worldwide and comes with a certificate of authenticity detailing the Limited Edition status. 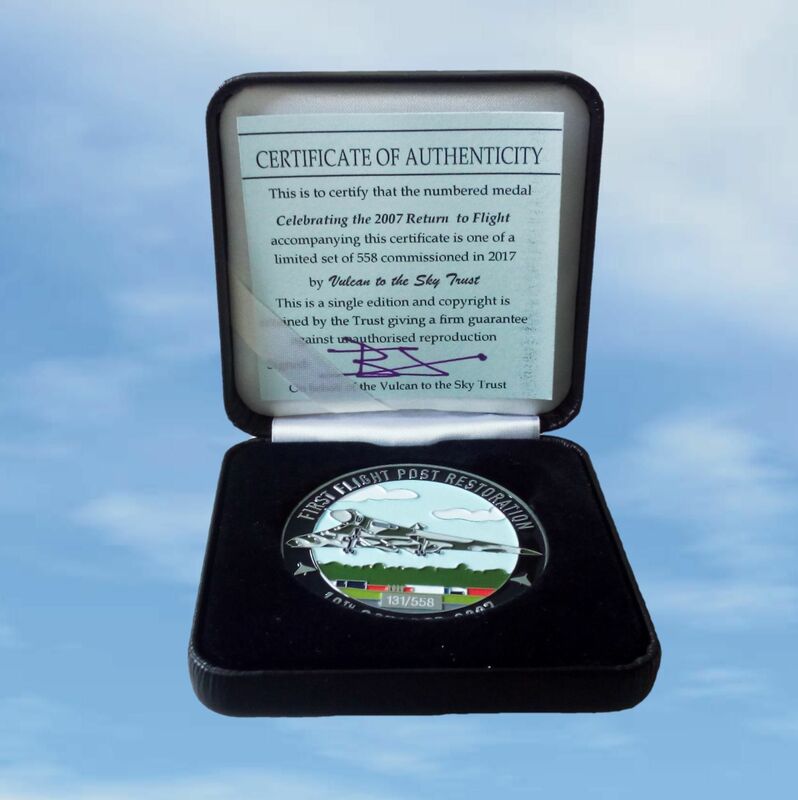 The “Celebrating Return to Flight” Medal has an antique silver finish with the lettering circling the medal in antique silver. The medal weighs approx. 45grams, is 2 inches in diameter and 3mm in thickness. The medal sits in a flocked finish tray and is complemented with an AVRO wings monogrammed, satin black presentation box with a hinged lid that snaps shut. Each is individually numbered as part of the issue of just 558 medals that will be produced, worldwide. Your medal will be a random number chosen from the supply.